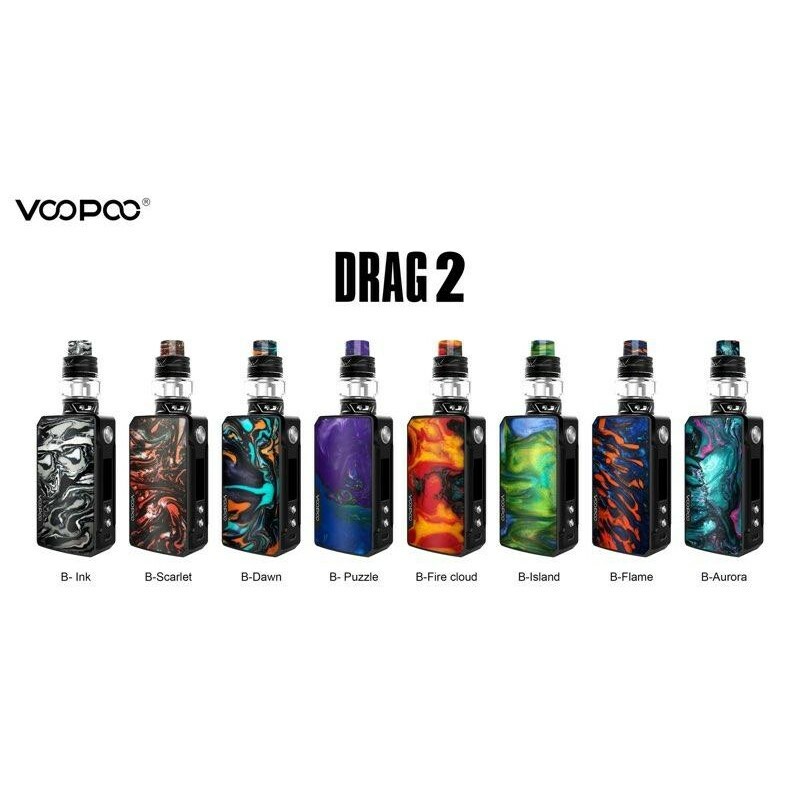 The VooPoo Drag 2 kit combines the second generation mod featuring the rapid firing GENE.FIT chip with the new Uforce T2 sub-ohm tank. 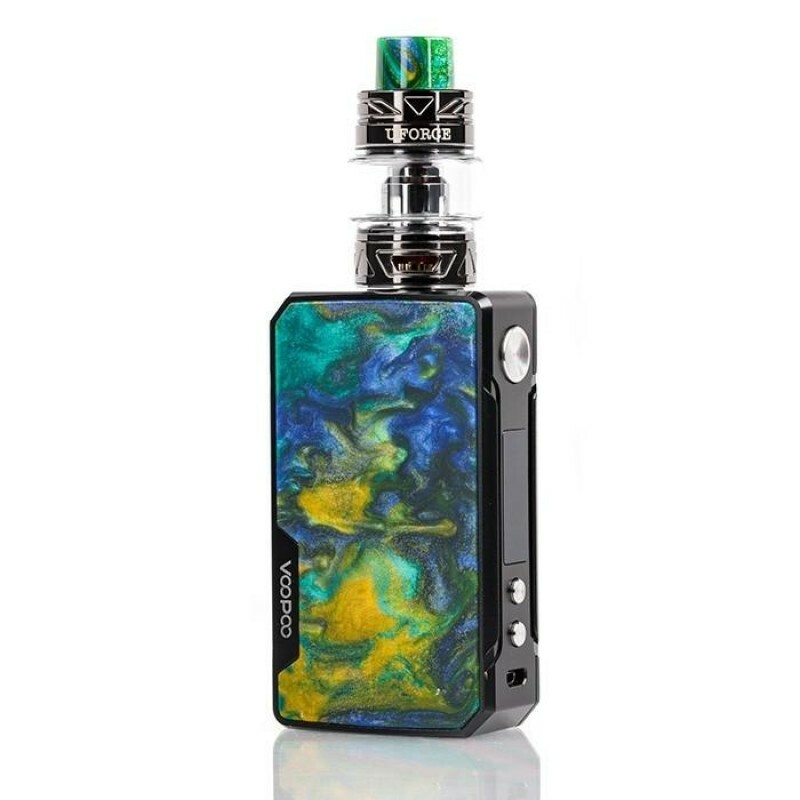 The Drag 2 is styled similarly to the original with an etched battery door and stunning resin backing, but the slightly shorter and wider body is almost 25% lighter, has a more centered 510 pin, and ergonomic angled edges. It can also generate more power, using dual 18650 cells (not included) to deliver up to 177W of power (0.05 - 5.0Ω), with temperature control support for Ni/Ti/SS with TCR. The updated chip also introduces a new FIT mode that intelligently adjusts the power level to either save battery power, enhance flavor, or produce larger clouds. All settings are clearly displayed on the 0.91" OLED screen, and easily changed with triple button navigation. A micro USB port supports firmware updates and charging the cells; however, an external charger is recommended to extend battery life.